This week’s giveaway winner is Nissa Annakindt! Feel free to grab the badge for your post! If there is one thing speculative fiction is known for, besides its habit to veer into wordiness, it is landscapes. When writing fantasy or science fiction that doesn’t take place in our own world, the most obvious step writers often take is to make the surroundings different than what they are familiar with. How can this world serve the story? Fantasy, especially, is known for its quests. Most of the time, these quests require travel, and whether you outline your whole story ahead of time or just write on the fly, your knowledge of the geography of the land where your story takes place can make or break your process – especially your revisions. Knowing the geography of the land serves two purposes for your story – the first is setting, and the second is the plot. 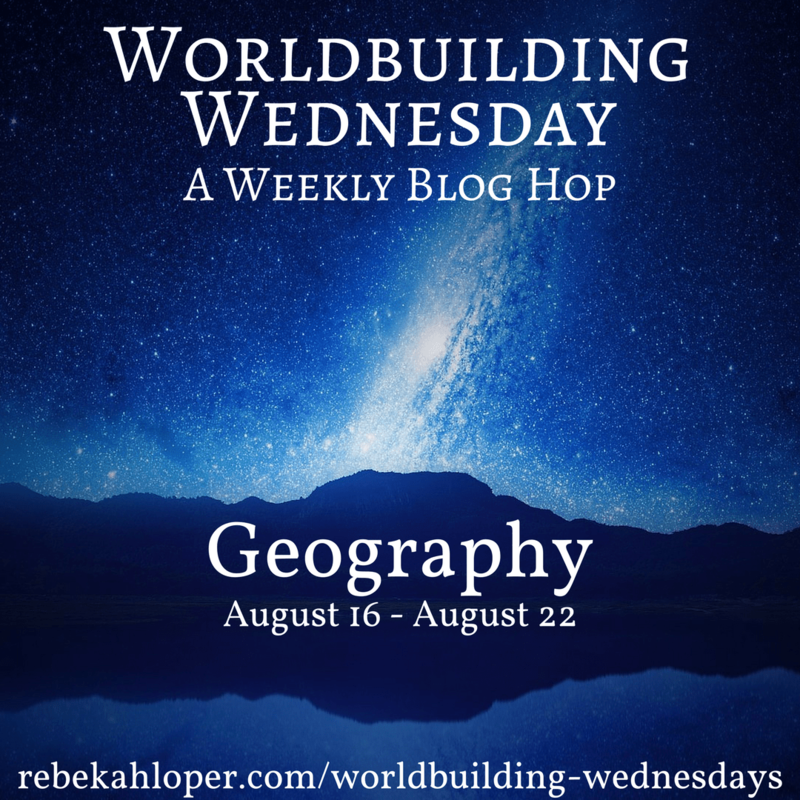 How does geography serve the plot? Well… Mount Doom. (There are never enough gratuitous LOTR references, okay? And I’m sure there are other examples, but my mind is very tired right now.) Or a desert that your characters need to cross to get to some far away exotic land to find a Thing that is Vital to the Quest. Most importantly, you need to know where your characters are traveling; how far away the places they reference in your story really are. Geography and climate go hand-in-hand as well. If they’re traveling east or west, the weather will stay relatively the same to what they are used to (as long as your world is set up with the same poles and compass points we have on earth), but even moving 100 miles north or south might put them in a different climate zone than what they are used to. And of course, one of the easiest ways to keep track of all this is with a map! If you’ve got a map, show us! If you don’t have a map, show us a glimpse of how your characters see their setting some other way. How long is that quest really going to take? What are some physical hardships your characters might endure because of the geography, and the changing climates they might pass through? Will they even be able to find water to drink? Very interesting. Since one of my WIPs is set on regular old Earth I did mine about the ‘geography’ of the space station. Which meant I had to invent it. So now I know.